Students have multiple choices to meet the Law & Ethics and Research Methods requirements. Classes meeting these requirements are indicated as such on the Comm Lead website list of courses. The program has no master’s thesis requirement. If students are interested they can complete a COMMLD 600 Research Project. It is a rare occurrence, and usually most appropriate for students planning to continue on to a PhD program and enter academia as a professor and researcher. Our wide breath of course offerings allow students to either explore a variety of distinct areas related to the field of professional communication, or to pick courses in related topics to specialize in a selected area. We develop classes in these topic areas in consideration of the changes and needs of the professional communication field. Our commitment is to train professionals in current and future practices and trends. Our classes and explored topics combine professional skills with critical thinking. Students may opt to pursue both the MCDM and the MCCN degrees. In accordance with Graduate School policies, students do not have to retake the core cohort classes COMMLD 501 and COMMLD 502 (10 credits), but are required to take 35 additional credits focused in their secondary area of interest, for a total of 80 credits for both degrees. Students must submit a Graduate School application for the second degree after matriculating into the program. Details on application deadlines and requirements can be found on the Comm Lead Student Resources Canvas site. Comm Lead offers classes on weekday evenings and all-day on Saturdays to suit the schedules of working professionals. All classes are on the Seattle campus and we do not currently offer any online or distance classes. All students start as a cohort in autumn quarter, beginning with the core cohort class COMMLD 501, plus any additional elective they might choose. The admission application deadline is February 1 each year, and full details on how to apply can be found here . 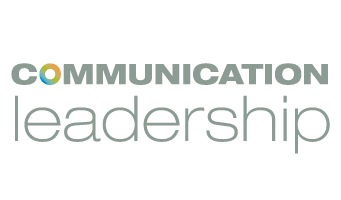 How long does it take to complete a Comm Lead degree? For part-time students enrolling in five credits per quarter, it can take between two and three years to complete the 45-credit program. Full-time students enrolling in 10 credits per quarter and taking classes in summer can complete the 45-credit program in 15 months. International students must maintain a minimum of 10 credits per quarter, with the exception of their final quarter or annual vacation quarter. How do I graduate and officially earn my degree? During the final quarter of classes, students must submit a master’s request in order to earn the degree. The master’s request is submitted between the first and last days of instruction, per UW Graduate School deadlines. Degrees typically post to transcripts within two to four weeks after final quarter grades are posted, and diplomas are mailed three to four months later. UW holds graduation ceremonies once per year in June, for all students who earned their degrees during the prior academic year.